L.M. Pfalz - author of the Halloween Street series: Get "The Disk" Free This Weekend & "The Rook" Gets Released! 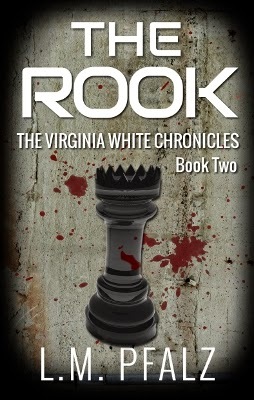 Get "The Disk" Free This Weekend & "The Rook" Gets Released! While trying to begin a new life in Atlantic City, Virginia White receives a mysterious package from a stranger, containing a rook chess piece. Her new quiet life turns into a nightmare when she discovers the meaning behind her “gift” and who sent it. Virginia must once again tap into her violent tendencies to defend herself, but will she go too far?